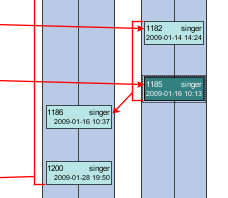 Displaying "merge arrows" in the Revision Graph is a feature which has been requested rather frequently since Subversion has introduced "merge tracking". This request comes mainly from (former) ClearCase users. 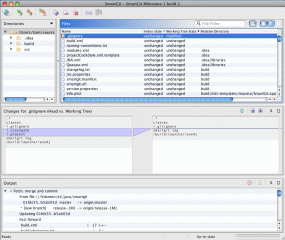 My concerns were that Subversion tracks its merge information by the svn:mergeinfo property which can grow rather complex. 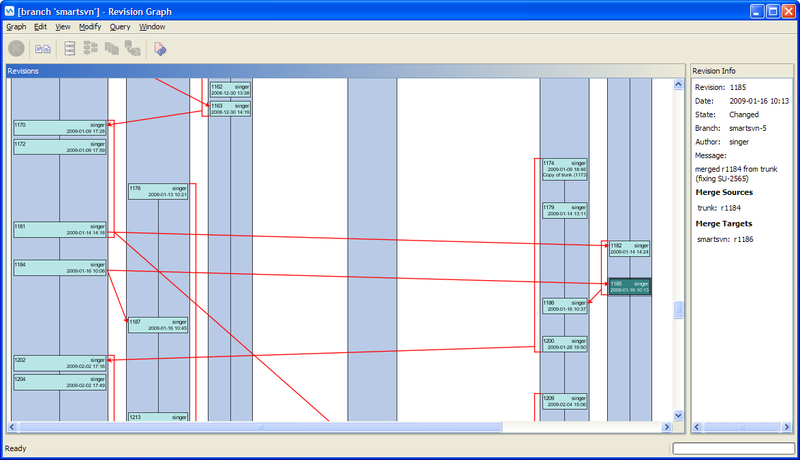 It inherits merge information from merge sources, can contain holes and so on. 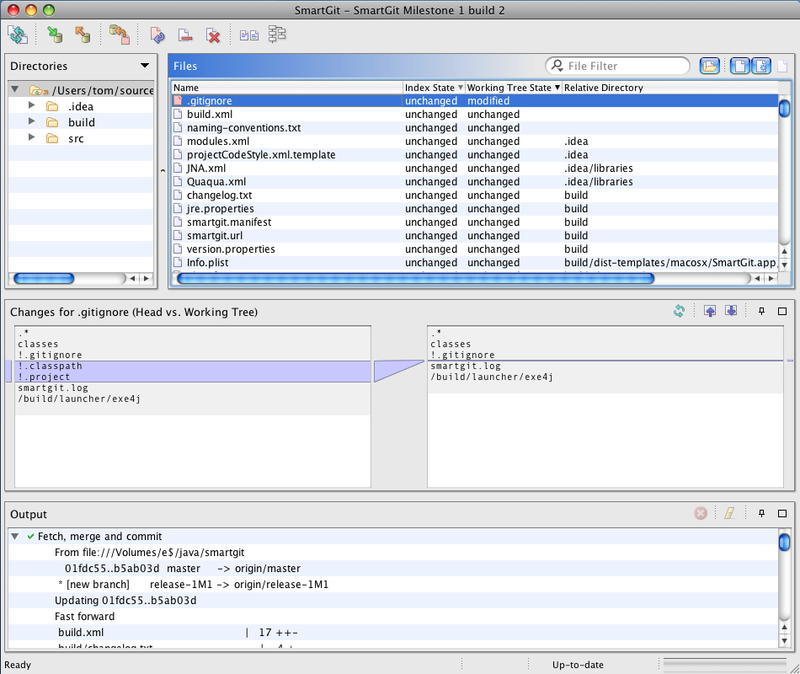 The only draw-back is that merge arrows require to scan the svn:mergeinfo for all displayed revisions in the Revision Graph. Currently, SVN provides no efficient way to perform such a query and hence the displaying may take some time. Finally, we decided that merge arrows will be part of SmartSVN 6.1 and hope to get a first beta build out within the next few weeks. Starting today, AVG anti-virus scanner reports a couple of SmartSVN’s files on Windows as trojan (more details here). Choose “Virus Vault” option from the “History” menu. Locate the file that was incorrectly removed and select it (one click). We have checked these files with virusscan.jotti.org which tests with different virus scanners and all except AVG can’t find something suspicious. Locally, we have run Avira Antivir and NOD32 which also found the files being clean. If you are uncertain, please use a different antivirus software to verify, too, and leave us a comment. Thanks! 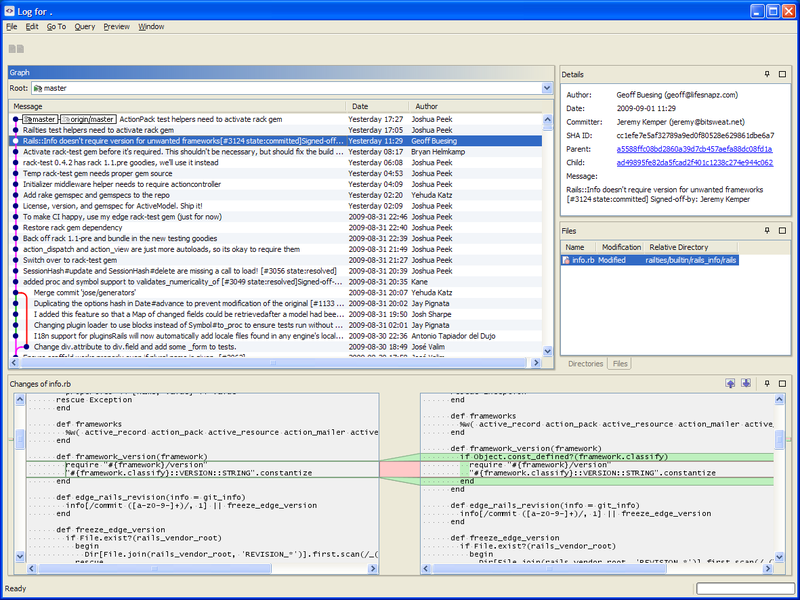 We are proud to announce the first public version of SmartGit, a client for the distributed version control system Git. We would like to invite everyone to give this first milestone build a try and share your ideas with us. 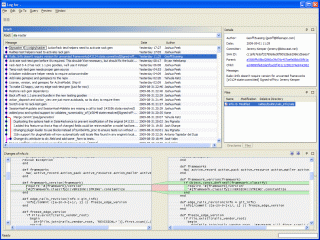 SmartGit requires a Git installation on your system. Basic commands like initializing a new repository, cloning an existing one, staging, unstaging and committing files, fetching remote and pushing local changes, graphical log, simple branching and merging already work.